The number of older Australians participating in the workforce is rising, with an increased number of Australian women working past the age of 55, according to research from the Melbourne Institute of Applied Social and Economic Research. The study comes off the back of the Intergenerational Report, which recently highlighted the ageing workforce and the importance of employers taking older employees into consideration. The wide-ranging research, titled Two Decades of Change: The Australian Labour Market 1993–2013, shows the number of both men and women in the workforce over the age of 55 had increased significantly in the last two decades. In particular, it showed a sharp rise in the number of women aged 60-64 still in the labour force, jumping from 15.2% in 1993 to 45% in 2013. The number of women aged 55-59 working in 2013 had hit 65.3%, from 36.8% in 1993. Likewise, the number of men aged 65 or older working or looking for work doubled in the two decades to reach 17% in 2013, while the number of those aged 60-64 had increased from 48.3% to 62.5%. Roger Wilkins, who co-authored the report with Mark Wooden, told Smart Company the swell of older Australian women participating in the labour market reflected a broader societal shift in female labour force participation. “Twenty years ago, older females had very low participation rates, so there was an enormous amount of scope for change there,” Wilkins says. Wilkins says the steadily increasing age of pension eligibility over the past 20 years is also reflected in the research. Asked if this ballooning of an ageing workforce will continue, Wilkins says while it is speculative, there is “certainly still plenty of room for a further increase of older workers”. “I would be surprised if it got up to levels [in other brackets], but there is considerable scope for a further increase in the participation rate of 55 and over,” he says. Meanwhile, Nikki Brouwers, chief executive of workplace rehabilitation and health specialist group Interact, says the research is a reminder for small businesses to consider employing older Australians. Brouwers recommends employers consider several ways of attracting and retaining an older workforce. “Firstly, employers need to consider the flexibility of work hours. Older workers will often want to work earlier and finish earlier,” she says. Lastly, Brouwers says there are other issues such as ergonomics, lighting and movement that employers should take into account. “What small business employers need to realise is they don’t need to be experts, they just need to engage with their workers, because at the end of the day, they will be best able to articulate what they need,” she adds. This article first appeared at Women’s Agenda sister publication, Smart Company. The Abbott government faces a growing jobs challenge as the number of people trapped in long-term unemployment hits a 16-year high, taking a growing toll on Australia’s collective wellbeing. The number of people out of work for a year or more has risen by 18 per cent over the past year to 188,000, seasonally adjusted Bureau Statistics figures show. That’s the highest number since the late 1990s and almost three times more than mid-2008, just before the global financial crisis. The Fairfax-Lateral Economics Wellbeing Index – which uses a range of indicators to measure changes in national welfare – shows the wellbeing cost of long-term unemployment reached a record $3.9 billion in the March quarter. This was driven by a sharp rise in long-term unemployment in the quarter. The index’s author, economist Nicholas Gruen, said the result underscored the economic damage caused by long-term unemployment. A major economic cost of long-term unemployment is skills atrophy – when skills deteriorate through lack of use and training. But there is also a huge human toll – those out of work for a long period are more likely than others to become socially isolated and suffer mental and physical illnesses. The rate of long-term unemployment – defined as being out of work for 12 months or more – reached a 13-year high of 1.5 per cent last month, up from just 0.6 per cent in 2008. The overall unemployment rate last month was 6.2 per cent. The number of people unemployed for two years or more reached 92,500 last month, the highest level in the 15 years the bureau has been publishing data on that indicator. Last month’s federal budget included a $330 million Youth Employment Strategy that will target young job seekers in areas of high unemployment and vulnerable young people most at risk of long-term unemployment. A $1.2 billion wages subsidy scheme was changed to encourage firms to take on older workers. “The new measures will focus on making job seekers more employable, reducing the costs of taking on new staff, and bringing job seekers and employers together,” the assistant employment minister, Luke Hartsuyker, said. But the chief executive of the Australian Council of Social Service, Cassandra Goldie, said much more will be needed to deal with the “untold but persistent” long-term unemployment challenge. Overall, the Fairfax-Lateral Economics Wellbeing Index – which provides a broader measure of wellbeing than traditional economic indicators – fell last quarter despite stronger than expected growth in gross domestic product. 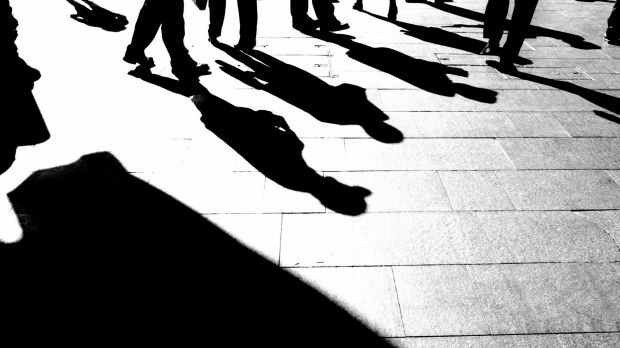 The index report said the quarterly contraction was driven by “the significant skills atrophy produce by the rise in long-term unemployment.” High rates of obesity and untreated mental illness were also significant drags on Australia’s collective wellbeing last quarter. The number of people out of work for a year or more fell to 65,000 in mid-2008 but has climbed steadily ever since. Tony Nicholson, the executive director of welfare agency the Brotherhood of St Laurence, said the rate of long-term unemployment among young people has been rising rapidly. “The transition from school to work in the modern economy is now riskier than it was two or three decades ago,” he said. 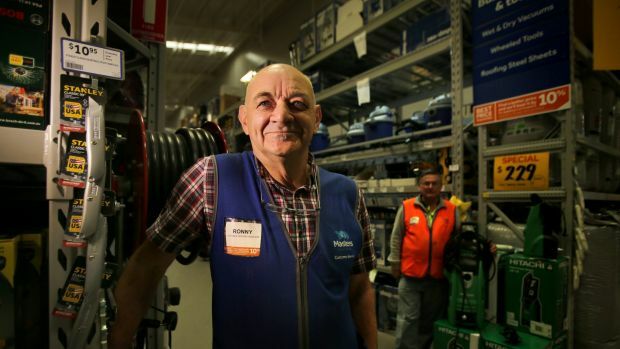 At 64 years old and a grandfather of 10, Ronny Brennan doesn’t fit the profile of a typical sales assistant. 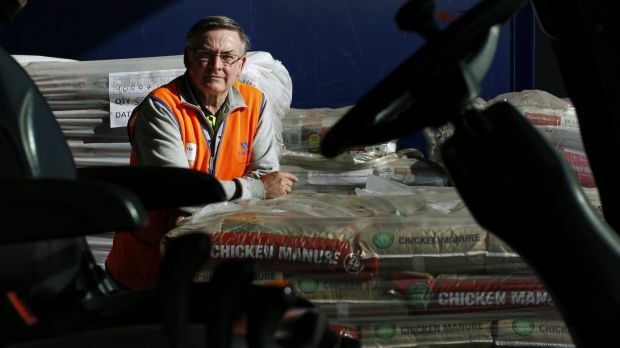 While many of his contemporaries are seeing out their 60s on the golf course, Brennan spends his days organising stock and advising customers at Masters Home Improvement in Chullora. I’m too young to retire but apparently too old to get a job. A former locksmith, Bobcat operator and gardener, he tried retirement but his wife ordered him to get back to work. Kitson-Crowe was a corporate banker in a time “when you reached 55 you were gone”. The Menai man took a package from his former employer when he was in his early 50s to focus on settling his young daughter into school. After a period of working as a financial consultant and mortgage broker, he decided he wanted a “fresh start” and now works in freight at Masters. Masters Home Improvement is part of Woolworths, one of an increasing number of large employers actively recruiting workers aged over 50. Mission Australia chief executive Catherine Yeomans is urging more companies to follow suit to offset the growing ranks of the mid-life unemployed who won’t reach pension age for many years. People aged over 50 comprise more than a third of the long-term unemployed and one-quarter of Newstart recipients. Brennan and Kitson-Crowe are two of the lucky ones. But it can be a bleak picture for many, according to Judy Higgins, director of Older Workers, Australia’s leading job board for the over-50s. Deborah Murray is 58 and has been out of work for more than three years. While caring for her elderly mother in Sydney’s east, she’s applied for hundreds of jobs but refuses to lose hope. “It is tough. I’m too young to retire but apparently too old to get a job,” she said. Murray previously worked in accounting but has been turned down for basic office administration roles. With 22 years’ experience in the navy and a decade in IT, he’s learned to decode the language of the job advertisements. Gerrey, of Campbelltown, believes experience and maturity are undervalued by many recruiters. “I’ve commonly heard that I am over-qualified for a role,” he said. Buthe, too, refuses to give up on his job search, ever hopeful that some upcoming interviews will lead to work. Employers should experiment with pay cuts and salary freezes for older workers to overcome age discrimination at work, a leading human resource professor says. But any company that follows her advice would risk a public campaign run by advocacy group National Seniors Association. Lynda Gratton, a London Business School professor and HR consultancy Hot Spots founder who advises big banks and insurance companies in Australia, said companies should consider not giving employees pay rises as they get older, or even giving them a pay cut. Ms Gratton, who was in Sydney on Wednesday to address the World Business Forum, said:​ “I think one needs to be a bit more creative about how we think of age and salary structure. “One difficulty is in any corporation, because people’s salary goes up every year, the older you are often the more you’re paid and that makes older people more expensive. “So one of the things we’ve been playing around with is, would it be sensible for people’s salary not to go up just because they’re getting older and that would make them easier to employ? Would it be possible to think about their salary going down and they do more mentoring and coaching work? 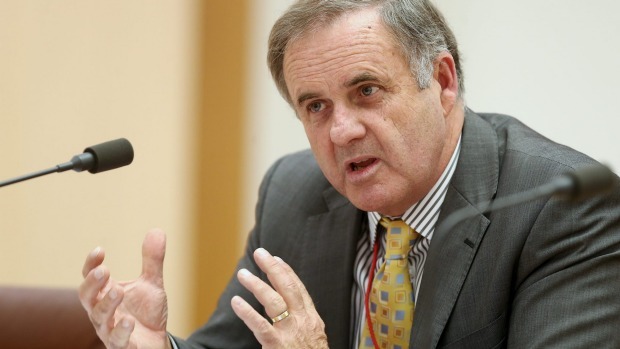 National Seniors Australia chief executive Michael O’Neill said her comment was “completely out of touch” with the Australian industrial relations system and he would be prepared to fight against any bank or insurance company that reduced employees’ pay on the basis of their age. “I would be happy to run a campaign against any institution that chooses to reduce workers’ pay because of their age and I’m sure consumers will react,” he said. Age Discrimination Commissioner Susan Ryan said Ms Gratton’s comments did not apply to the Australian industrial environment. Ms Ryan said in some cases workers might want a less-demanding role as they get older. “Both the employer and the employee may agree on a different role, with a lesser pay package,” she said. Most banks and financial sectors had been doing well in addressing age discrimination in the workplace, she said. Employers who took Ms Gratton’s advice might also find themselves in legal hot water. Employment law firm Justicia managing partner Sarah Rey warned that employers who gave staff pay cuts or salary freezes purely on the basis of their age exposed themselves to the risk of unlawful age discrimination. “Ultimately anti-discrimination laws prevent employers from discriminating on a variety of grounds. So if you are treating someone poorly and it has nothing to do with their performance, then that would be discrimination. If you’re looking to treat them less favourably it has to be something other than age,” she said. More older workers are projected to remain in the workforce beyond the traditional retirement age of 65. But a survey commissioned by the Age Discrimination Commission found in the past two years more than half of jobseekers over 50 were discriminated against on the basis of age. The Treasury’s Intergenerational Report in 2015 predicts the workforce participation rate among those older than 65 will jump from 12.9 per cent in 2015 to 17.3 per cent in 2055. To encourage employment of older workers, the government has introduced a grant of up to $10,000 to employers who hire workers older than 50 who have been unemployed for six months or longer. Ms Gratton said while she was not aware of companies pursuing her pay strategy, in practice older workers were already taking pay cuts as they quit their jobs and moved into different jobs, such as consultancy roles. One way of thinking about salary could be linked to child rearing, she said. Ms Ryan said Ms Gratton’s comment about the expenses related to child-rearing responsibilities did not reflect the diversity of the nation’s families. WARREN BUFFETT, who on May 3rd hosts the folksy extravaganza that is Berkshire Hathaway’s annual shareholders’ meeting, is an icon of American capitalism (see article). At 83, he also epitomises a striking demographic trend: for highly skilled people to go on working well into what was once thought to be old age. Across the rich world, well-educated people increasingly work longer than the less-skilled. Some 65% of American men aged 62-74 with a professional degree are in the workforce, compared with 32% of men with only a high-school certificate. In the European Union the pattern is similar. This gap is part of a deepening divide between the well-educated well-off and the unskilled poor that is slicing through all age groups. Rapid innovation has raised the incomes of the highly skilled while squeezing those of the unskilled. Those at the top are working longer hours each year than those at the bottom. And the well-qualified are extending their working lives, compared with those of less-educated people (see article). The consequences, for individuals and society, are profound. The world is on the cusp of a staggering rise in the number of old people, and they will live longer than ever before. Over the next 20 years the global population of those aged 65 or more will almost double, from 600m to 1.1 billion. The experience of the 20th century, when greater longevity translated into more years in retirement rather than more years at work, has persuaded many observers that this shift will lead to slower economic growth and “secular stagnation”, while the swelling ranks of pensioners will bust government budgets. But the notion of a sharp division between the working young and the idle old misses a new trend, the growing gap between the skilled and the unskilled. Employment rates are falling among younger unskilled people, whereas older skilled folk are working longer. The divide is most extreme in America, where well-educated baby-boomers are putting off retirement while many less-skilled younger people have dropped out of the workforce. Policy is partly responsible. 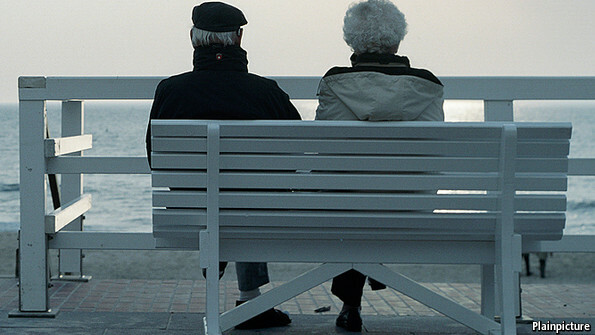 Many European governments have abandoned policies that used to encourage people to retire early. Rising life expectancy, combined with the replacement of generous defined-benefit pension plans with stingier defined-contribution ones, means that even the better-off must work longer to have a comfortable retirement. But the changing nature of work also plays a big role. Pay has risen sharply for the highly educated, and those people continue to reap rich rewards into old age because these days the educated elderly are more productive than their predecessors. Technological change may well reinforce that shift: the skills that complement computers, from management expertise to creativity, do not necessarily decline with age. This trend will benefit not just fortunate oldies but also, in some ways, society as a whole. Growth will slow less dramatically than expected; government budgets will be in better shape, as high earners pay taxes for longer. Rich countries with lots of well-educated older people will find the burden of ageing easier to bear than places like China, where half of all 50-to-64-year-olds did not complete primary-school education. At the other end of the social scale, however, things look grim. Manual work gets harder as people get older, and public pensions look more attractive to those on low wages and the unemployed. In the lexicon of popular hate-figures, work-shirking welfare queens breeding at the taxpayer’s expense may be replaced by deadbeat grandads collecting taxpayer handouts while their hard-working contemporaries strive on. Nor are all the effects on the economy beneficial. Wealthy old people will accumulate more savings, which will weaken demand. Inequality will increase and a growing share of wealth will eventually be transferred to the next generation via inheritance, entrenching the division between winners and losers still further. One likely response is to impose higher inheritance taxes. So long as they replaced less-fair taxes, that might make sense. They would probably encourage old people to spend their cash rather than salt it away. But governments should focus not on redistributing income but on generating more of it by reforming retirement and education. Age should no longer determine the appropriate end of a working life. Mandatory retirement ages and pension rules that discourage people from working longer should go. Welfare should reflect the greater opportunities open to the higher-skilled. Pensions should become more progressive (ie, less generous to the rich). At the same time, this trend underlines the importance of increasing public investment in education at all stages of life, so that more people acquire the skills they need to thrive in the modern labour market. Today, many governments are understandably loth to spend money retraining older folk who are likely to retire soon. But if people can work for longer, that investment makes much more sense. Deadbeat 60-year-olds are unlikely to become computer scientists, but they could learn useful vocational skills, such as caring for the growing number of very old people. How likely are governments to make these changes? Look around the rich world today, and it is hard to be optimistic. The swelling ranks of older voters, and their disproportionate propensity to vote, have left politicians keener to pander to them than to implement disruptive reforms. Germany, despite being the fastest-ageing country in Europe, plans to cut the statutory retirement age for some people (see article). In America both Social Security (the public pension scheme) and the fast-growing system of disability benefits remain untouched by reform. Politicians need to convince less-skilled older voters that it is in their interests to go on working. Doing so will not be easy. But the alternative—economic stagnation and even greater inequality—is worse. 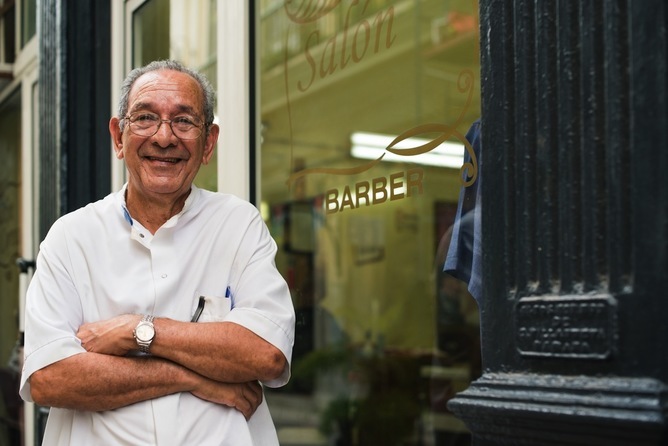 With Australia’s official retirement age heading to 70 by 2035, this year’s federal budget brings forward incentives designed to encourage companies to employ older workers. The Restart Program, which provides $10,000 to employers to hire over 50s will have payments accelerated, and the government will also provide incentives to older unemployed people to retrain in order to get a job. The measures go part of the way to addressing the challenges faced by older workers, but come amid ongoing age discrimination in Australia. Empirical evidence suggests negative stereotypes are at the heart of this form of ageism. Such stereotypes are found among employers as well as the community at large. Ageist attitudes and related stereotypes are a general socio-cultural phenomenon and are not confined to the workplace, meaning employers’ attitudes toward older workers are simply a reflection of a broader worldview. Being in positions where their decisions have direct impact on the lives of older workers, however, means their views attract more attention than those of other people. It is not the intention of employers, who typically seek the best person for the job, to discriminate against older workers. But stereotypes are activated automatically in response to cues. For example, a person’s age, appearance, or date of graduation from school are all relevant cues that impact perception and judgement. Despite best intentions, employers’ judgement can be automatically biased by ageist stereotypes so they may miss the best person for the job in cases where it happens to be an older worker. Common interventions to address ageism toward older workers have been in the form of policies, legislation, and fact sheets, with the former aimed at enforcing fair practice and the latter providing information. Policies, however, provoke resistance to change when people are being told to think and/or behave in particular ways and feel their free choice is threatened. Fact sheets, incongruent with employers’ worldviews, are often perceived as incorrect. There are however ways to promote positive attitudes toward older adults among employers and increase the likelihood of them being hired. One intervention tested successfully involved inducing cognitive dissonance. Cognitive dissonance is a mentally unsustainable state that is evoked when a person holds two contradictory thoughts and/or beliefs simultaneously. People are naturally driven to reduce cognitive dissonance, so much so that it often results in them either changing their attitude or further affirming their initial positions. In our study we made employers aware that discriminating against older workers was potentially counterproductive and against our culturally enshrined value of a “fair-go”. Having been asked to endorse this view and provide their names, employers were advised they would be listed as people who opposed hiring discrimination against older adults and who were committed to non-discriminatory practice. This meant they would ultimately experience cognitive dissonance in response to activation of negative stereotypes in subsequent considerations of older workers. We also developed fact sheets based on common misconceptions about older workers. Combining the cognitive dissonance aspect with the fact sheet produced the strongest effect. Employers who participated in this part of the study showed more positive attitudes toward older workers overall, stated that they were more than likely to hire older workers, and considered age to be less important in making hiring decisions. Attitudes are said to be relatively resistant to change, but by refuting misconceptions and enabling cognitive dissonance to be evoked in employers, we enabled them to maintain a sense of self-integrity as well as professionalism because these were now aligned with fair treatment of older workers. Ultimately, it was the internal motivation of hiring decision makers that made the difference, as opposed to dictating to employers how they should behave. The next phase is to discuss various ways the intervention could be implemented. From 1 July 2015 the Australian Government is introducing new employment services called jobactive. These services will replace Job Services Australia to help more job seekers find work and be more responsive to the needs of employers by preparing job seekers with the skills and attributes that employers are looking for. Under jobactive, job seekers on income support will have access to tailored assistance from a jobactive provider based on their assessed needs. This could include help with looking for work, writing a resume and preparing for interviews, referrals to jobs and training that is suited to the skills that local employers need. People looking for work who are not receiving income support may also be eligible to receive some services under jobactive. For more information, job seekers can contact the National Customer Service Line on 1300 854 414. Employers will be able to receive assistance from jobactive providers to help them find staff by screening and matching job seekers to available vacancies and by providing support once a new employee starts. These services are provided at no charge and employers may be able to receive financial help through a wage subsidy when they employ an eligible mature age, young, long term unemployed or Indigenous job seeker. The Restart programme is a wage subsidy paid to employers to assist mature age people participate in the workplace at the same time as encouraging employers to expand their business and benefit from the wealth of experience mature age workers bring. Job seekers who are 50 years of age or older and have been unemployed and on income support* for six months or more can attract a Restart wage subsidy for an employer. Eligible mature age job seekers employed for 30 hours can attract the full rate of the Restart subsidy, and those employed between 15-29 hours per week can access a pro-rata amount. As part of the ‘Growing Jobs and Small Business Package’ announced in the 2015 Budget, the Restart wage subsidy has been redesigned to make it easier for employers to access. From 1 November 2015, employers will be able to access the full subsidy of $10,000 (GST inclusive) over 12 months instead of the current two years, when they employ an eligible job seeker. The Restart wage subsidy will include up to $6,500 paid during a 12 month period and a bonus of up to $3,500 for employment which lasts the full 12 months. Employers already making use of Restart will also be able to transition to the new arrangements. Employers will be able to contact a local jobactive provider to discuss the unique requirements for their business from 1 July 2015. For more information, employers can contact the Employer Hotline on 13 17 15 or visit the Department of Employment website at www.employment.gov.au/jobactive. 1. You don’t have to be in the same life stage in order to be friends with someone. Right now, we are celebrating two recent engagements in my office. Marriage proposal stories are such fun to hear, especially if you are a boomer who came of marriage age at a time when getting down on one knee or asking the woman’s parents for permission would likely have revoked your commune membership. Since my own husband asked me centuries ago to marry him with something like “Wanna?” I appreciate the thoughtful care that went into Ashley and Meredith’s proposals. I am also genuinely interested in hearing the details of the weddings-in-the-works. I find myself cautioning them to not lose sight of the marriage in planning for the wedding. In my current life stage, I’m preparing for our oldest child to leave for college in a year. My officemates have a wealth of information about the college application process and the college experience itself since it wasn’t that long ago for many of them. When my daughter applies next year, she will have benefited from the collective wisdom of these fairly recent graduates. Our milestone events may not be the same, but the enthusiasm we have for one another’s important occasions is real. They came to my son’s Bar Mitzvah ceremony and I almost made it to Anna’s first-house party. 2. I don’t have to go to karaoke night to be part of the group. Every office has a culture. Ours has a hipster vibe, where fun is encouraged. We work hard and we play hard. We have game nights and cocktail-tasting events. We have drink carts on Thursdays, share free bagels on Fridays and have corporate days where we volunteer. I pick and choose my spots but am always included by all. I like that. It’s the way it should be — even if I don’t show up most of the time. When you think about it, we’ve always compartmentalized our friends. I have Mom friends and friends from my single days. I have friends from within the world of journalism and friends who are neighbors. I also have movie friends and hiking friends and trying-new-restaurant friends. I think it’s fine for boomers to have millennial friends. 3. If I’m their mentor, they are my educators. I’m maternal by nature, which means I like to share the experience of my years — mostly about life, but sometimes about work too. And of course old dogs can be taught new tricks. Which makes us perfect. I like to think that I push the bar up journalistically here in the office. With my colleagues’ help I’ve become one of those 65-year-olds who knows more about the Internet than all her same-age friends. Except for my insistence that real music died about 10 years after Woodstock, our views are largely aligned. One thing I love is their support whenever I go off on age discrimination. Think about it: Many millennials can’t get their foot in the corporate door and many boomers like me have no plans to go anywhere. That alone could trigger animosities among lessers. But in our case, they share my indignation over the small stuff that makes me explode. For example, companies that recruit for “digital natives.” I love that expression — digital natives — except when I see it in a job posting. Digital native means someone who was born with a cellphone in his or her hand. It’s been showing up lately in job postings when the company wants to hire someone young and has been cautioned against by H&R offices worried about age discrimination suits. I’m not sure how long the term “digital native” will be around, but I do know that my young friends agree with me that older people have a place in the workforce — and that we in fact enrich the office. 5. I am a walking history book, and they are the future chapters. As digital natives — well, they are — they often encourage me to talk about the good old days of print journalism. They were shocked when I told them how 35 years ago, a county judge in New Jersey booted me out of the courtroom where I was reporting on a trial because I was wearing a pant suit. Ladies, he told me, wore skirts to his court and to do otherwise was showing disrespect. The next day, every female reporter I knew came to court with me — all of us wearing pant suits. My young colleagues were equally stunned when I explained how I was told that I couldn’t be promoted because to do so would take a paycheck out of the hands of a “family breadwinner,” and how more than once I was asked why I didn’t just get married and have kids. From my colleagues, I have learned how the new dress-for-success look is often my jeans and boots. They are my go-to resource for all things current. I now know where to shop, eat, drink and vacation. Heck, I even got Netflix to be able to join in the conversation. This continues to be our big divide. What is it with millennials and their aversion to cash? They all use plastic all the time for everything, including buying a soda off the food truck. I carry cash. It comes in handy for handing over to a mugger, which is precisely why I suspect they don’t carry any. 7. Technology made our lives easier. At the risk of sounding trite, there really is an app for everything. And I thank my young colleagues for sorting through the clutter and letting me know which ones will really make my life easier. I knew about Uber, but not UberEats — which delivers a fresh lunch to my office in under five minutes. (H/T Joe Satran, HuffPost Taste writer.) From Healthy Living writer Anna Almendrala I learned about Withings, an interactive app that tracks your exercise, food, steps, weight, etc. She also was the first one to show me MyFitnessPal. And I’m a total fan of Venmo, a peer-to-peer money transfer system. Seniors groups have come out swinging against the 2015 federal budget arguing it unfairly targets older Australians, with measures that impact mature-aged workers and migrant pensioners among those in the firing line. Consumer lobby group National Seniors criticised the budget for slashing $2.4 billion from pensions, cutting over $50 million from aged care, and tinkering with incentives designed to encourage employers to hire older workers. “Older Australians are bearing the brunt of budget cuts, and they have every right to be disappointed,” National Seniors chief executive Michael O’Neill said. Council of the Ageing (COTA) chief executive Ian Yates said older Australians will welcome confirmation that the government has dropped “unfair” changes to pension indexation and given them more choice and control in how they receive aged care at home, changes to employment incentives and cuts to dementia care would be less popular. Mr Yates said he was particularly disappointed with the government’s changes to its flagship mature age employment scheme introduced last year. Employers who hire an eligible worker aged over 55 years through the Restart Allowance scheme will now be rewarded with the full $10,000 subsidy after one year, rather than two. “This could lead to some employers churning older employees on short contracts so employers benefit from the incentive but the workers become unemployed again. It is also disappointing that the incentives still only apply to older people who have been unemployed and on income support for six months. Earlier eligibility would make candidates more attractive to an employer,” Mr Yates said. Advocates were also critical of a decision to combine the administration of the Restart Allowance scheme with other employment programs targeting younger workers. “The budget claims a $120 million saving from this reorganisation but it is not clear where that saving will come from. We are worried it will mean a reduction in funding for Restart and argue that older workers need a dedicated program,” Mr O’Neill said. Separately, a move to slash the amount of time per year retired migrants will be allowed to spend living outside Australia without having their aged pension rate cut has also drawn criticism for being unfair and potentially discriminatory. As it stands, aged pension recipients who have lived in Australia for less than 35 years since the age of 16 can spend up to six months a year living overseas before losing part of their benefit. Under the new rules this threshold will be cut to just six weeks. “It is a very mean-spirited approach that unfairly singles out Australians who were not born in this country,” Mr O’Neill said. Aged pensioners who have lived in Australia for more than 35 years will retain the ability to live overseas for most of the year without losing their pension. The new rules are forecast to save the budget $168.6 million per year from 2017. “It seems like a very harsh cut for the people affected without a very clear rationale as to why it is being done,” Mr Yates said.